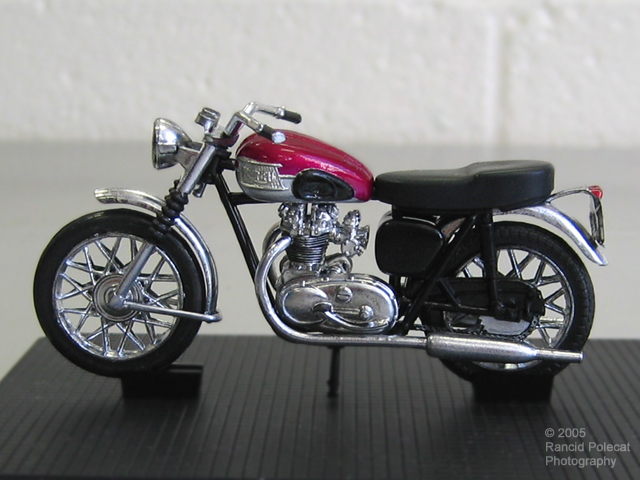 If you wanted to build one of these motorcycles in 1962, you had to buy a lot of kits as AMT spread the parts for this model among several of their annual passenger car kits that year. That was quite an expensive proposistion back then as most of us had very little money and there were a lot of kits to buy. It's a much more expensive proposition today as those same kits sell, in mint condtion, for up to three digit prices.